Victorinox is perhaps the most, or at least one of the most famous knife manufacturers in the world. I was looking for a knife/ multi tool that could be carried discretely with little bulk or weight for everyday pocket use. There are many many options out there not only from the likes of Gerber, Leatherman and Wenger, but from within the SAK family too. Deciding what it is you need it for is perhaps key when faced with so many options. I’ve owned a Victorinox Swiss champ for more than 12 years and its usefulness has been beyond doubt, but it’s weight proves to be a little more than I’m comfortable with for everyday pocket-able use. I set about working out which tools I had used most over the years, and therefore which tools I needed and which I could do without. I whittled it down (please excuse the turn of phrase) to the Victorinox Climber. It has two blades, one big and one small, a pair of scissors, a multi purpose hook, a can opener/ small flat head, a bottle opener/ large flat head, a corkscrew (including mini flathead screwdriver), a reamer (don’t ask me!? ), a key ring, tweezers and a toothpick. I opted for the black version, to add a bit of distinction between it and my faithful red Swiss champ. I could not have been happier; it’s size and weight is similar to a single AA torch and therefore it is truly pocketable without loosing any of my most used tools. 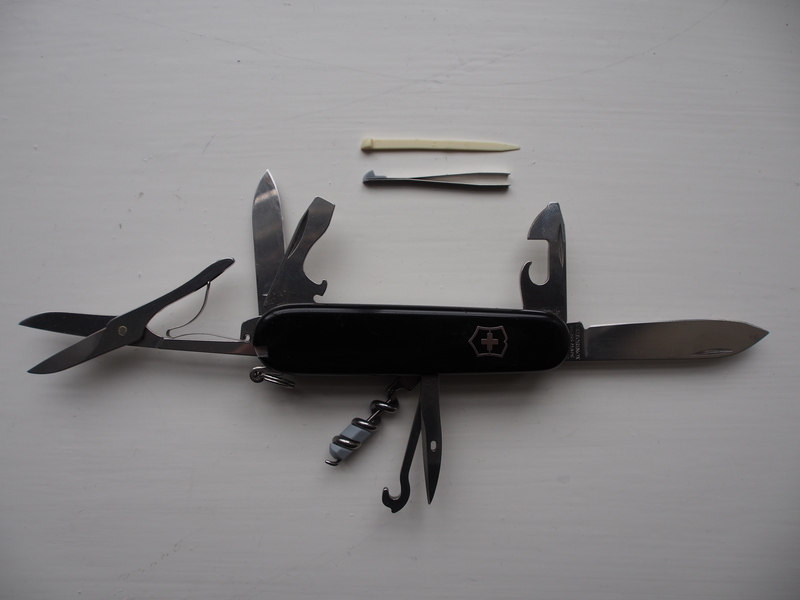 It has the sturdiness and feel that all Victorinox SAK’s have and I have no doubt that it will be invaluable on the trip or even back in the UK. I had initially overlooked SAK’s for my trip to Africa, and am glad I revisited them. In my opinion, the perfect pocket knife. If by some spasm of the universe you don’t have one, then i think it’s about time you got one. I purchased mine from Amazon.co.uk for £20 including delivery, but they are widely available all over the high street as well. Domke F-5XB. (The first of many photography related posts). Domke have been making solid and dependable bags for many years, so they seemed like a good choice to protect my camera kit during 6 months on the road in Africa. Compared to much of the competition they seem pretty pricey, but its clear why once you handle them. Similarly priced brands like Thinktank and Billingham also make fantastic ranges with many of the same features, so I think it’s just a matter of personal taste and preference. 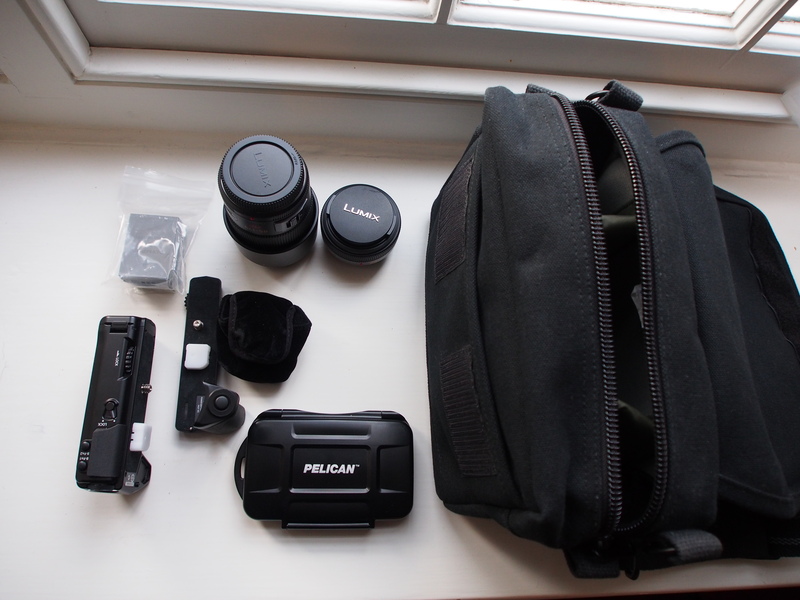 The perceived wisdom seems to be that in certain environments an obvious camera bag is a hinderance, so I wanted a bag that was small enough to stick in a backpack, but also that would blend well as a stand alone bag too. I went for the Domke F -5XB in black. 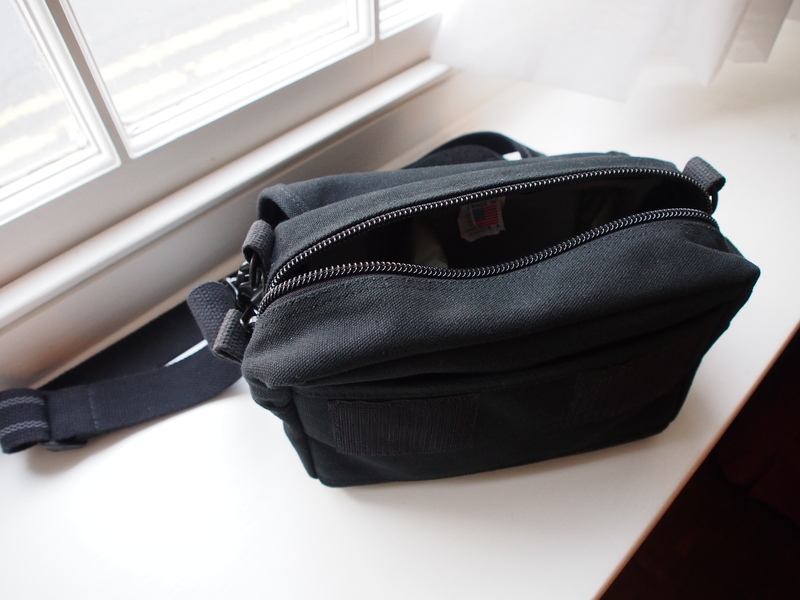 I also removed the Domke logo from the front as I felt this ruined its stealthy, not necessarily a camera bag, appearance. This bag is to house my Olympus OMD- EM5, which along with 3 lenses makes up my main expedition camera gear (I will go into more detail in a later posts), and it easily all fits in with room for the HLD -6 battery grip a couple of additional batteries and a host of other small accessories too. The version I went for is not the toughest Domke ‘rugged wear’ version, but I felt that the ballistic nylon would easily be up to the task. The proudly placed ‘Made in the USA’ label may or may not matter to you. Its stood up well in the first 6 months, and has been with me on a number of trips. Much like the personally much admired Steve Huff it seems like I have found my perfect bag. Lets hope it lives up to that billing! If only! Sometimes you wonder whether that kit youve spent so much time reseaching is going to cut the mustard. Sometimes not. 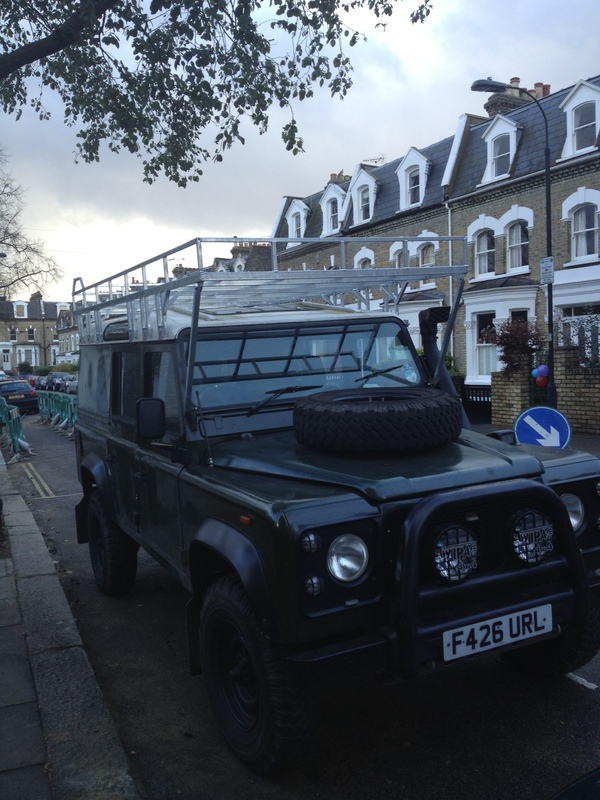 I love our expedition Land Rover; Earl (so named somewhat unoriginally for it numberplate), but one can dream! Posted in Africa Expedition Kit, Needed to be shared! Something we are really not used to here in the UK is darkness. Wherever we are we can just flick on a light and go about our business. From all that I had read, 6 months in Africa living out of a Land Rover was likely to be very different, so I set out to find a way to bring light to the dark. All I needed was to light up the immediate world around me. As many, far more experienced than me pointed out; a torch is only useful if it is with you when you need it, so my brief was a small, light, probably single AA battery torch with a lumen rating of over 100. AA because of the worldwide availability. I grew up with a trusty two AA camouflage Maglite and was astounded by how LED technology had changed. 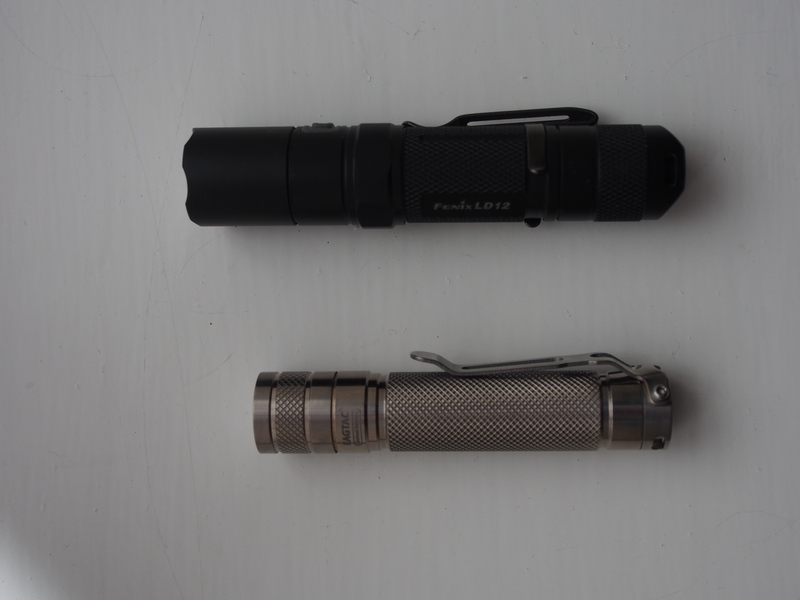 Single AA torches such as those by Zebralight could produce over 200 lumens from a package barely bigger than the battery itself. 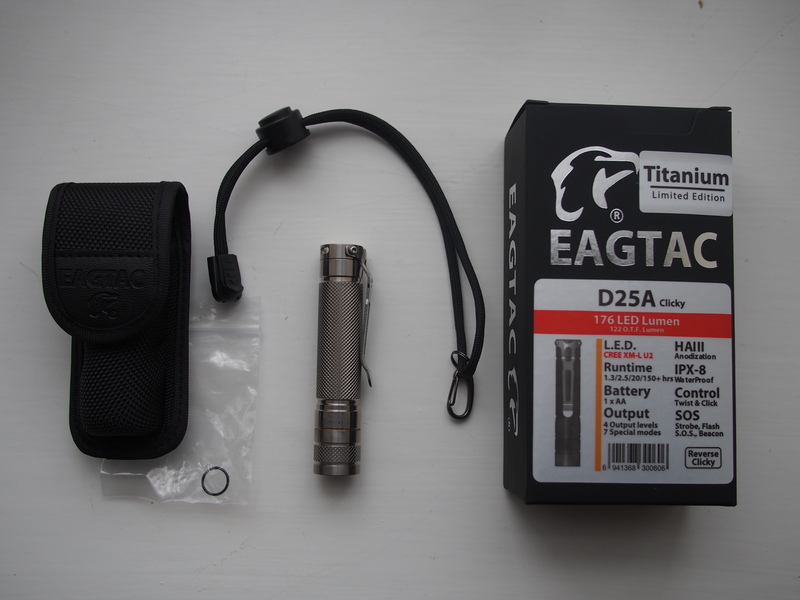 After far too much time looking into the different modes and user interfaces I settled on an extremely popular torch; the Eagletac D25a. 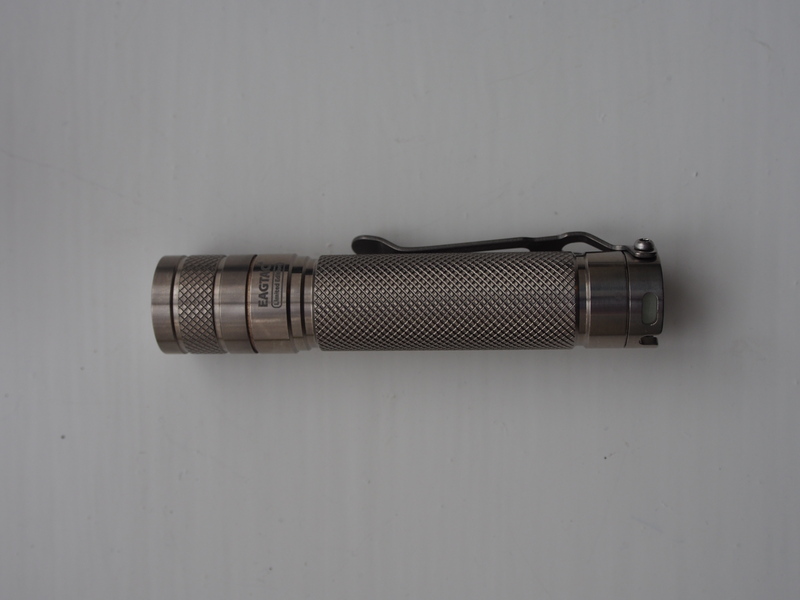 It produced 176 lumens, was amazingly small and light and ran off a single AA battery. It is operated by clicking the tail switch and the light modes are adjusted by turning the torches head. I purchased it from flashaholics.co.uk for the princely sum of £49.95. The lure of titanium was too strong and I plumped for the limited edition titanium model; not really for any practical reason but for rather for more aesthetic reasons I seemed to have picked up while on the many fantastic forums (although I believe it is stronger and a little lighter than the standard aluminium). I was not disappointed, it is perfect to unobtrusively slip into a pocket, and when switched on in full mode gives out a hell of a lot of light. It also helpfully has a very low mode, which not only allows use at night without too much loss of natural night vision, but also extends the run time dramatically. The clicky button is tough enough that its very unlikely that it would be turned on by mistake in a pocket or bag. My initial thoughts are very positive. Given the criteria I had it is ideal. 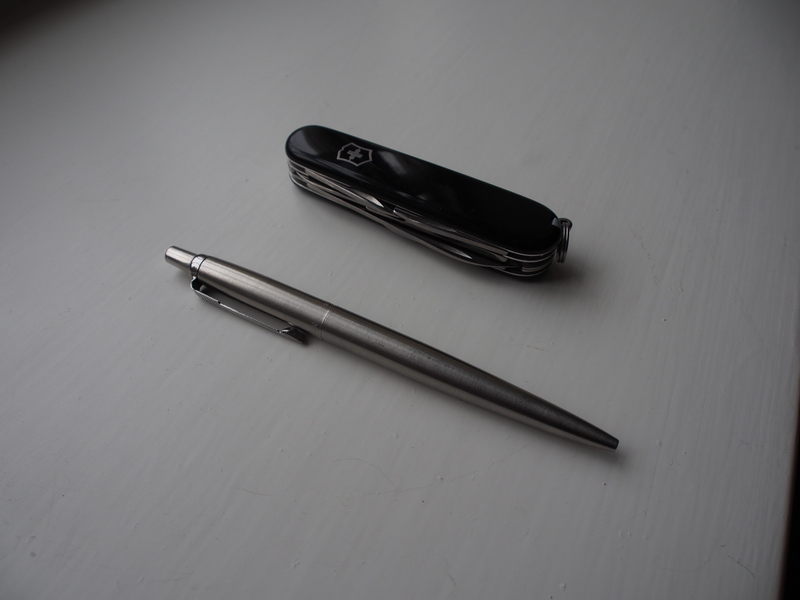 Whether i needed to pay the over 25% mark up for the titanium model is debatable, but as it stands it seems like the perfect pocket companion for my trusty Victorinox, and will hopefully stand up to the rigours of Africa. For a size comparison here it is with the beautifully made Fenix LD12, which also runs off a single AA battery. Finally a big thank you to all those dedicated people who are happy to share their knowledge and passion on the many torch/ flashlight forums! I was looking to find a couple of affordable but durable knives to perform any tasks that may be required on my upcoming Africa trip. Jobs ranging from food preparation to wood splitting and everything in between. My plan is to carry my trusty Victorinox penknife with me most of the time, but with the vehicle to take the extra weight, having a couple of extra blades seemed like a sensible move. For a six month trip portable storage for photos and entertainment was no doubt going to be very important. A standard portable hard drive is not going to stand up to the knocks, bumps and spills of 6 months on the road. With this in mind I set out to find a rugged portable hard drive. There are many many brands of sleeping bag out there, with price ranges from £17 all the way up to £400 and beyond. 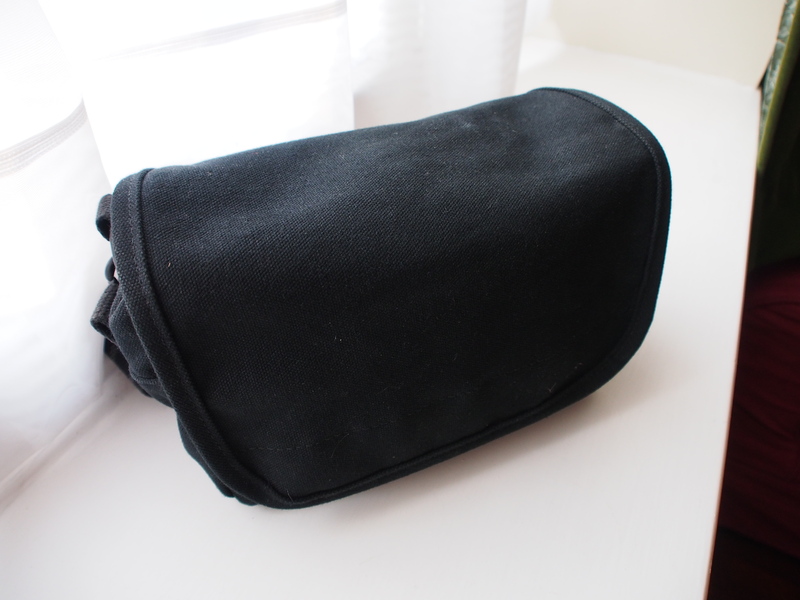 My brief was an all round sleeping bag that would be suitable for warmer climates as well as comfortable for daily use for an extended period of time. SD cards are tough little things, but there is nothing more frustrating than discovering that a card has become corrupted and ones precious photos from a trip or holiday are lost. There are fancy ways of getting this data back, but these are by no means foolproof and therefore I set about finding a case to keep my cards safe and sound. 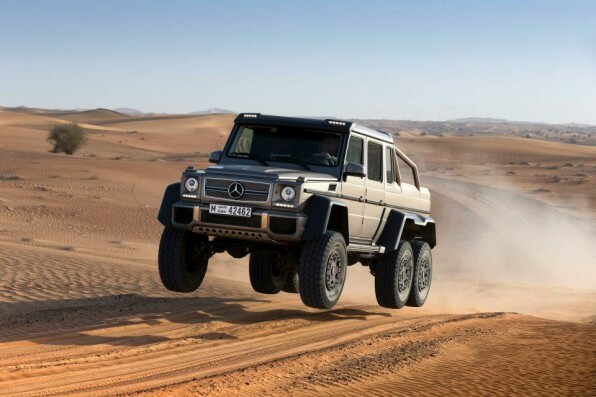 My upcoming trip to Africa spurred me on to find one that would handle some extended rough handling and the inevitable dirt, dust and liquid that an extended trip across a continent would entail.